Paul Saunders, an Imagineer at WED Enterprises during the 1960s and 1970s, was kind enough to contribute the material for today's post. Paul Saunders was educated at the Institute of Design, Illinois Institute of Technology, Chicago, Illinois 1952 to 1955 and the University of Colorado 1956. He started his independent career in industrial and product design. He then settled his Colorado office with architectural design and build from 1957-1964. Seeking employment at a ski resort project to further his passion for mountain architecture, he discovered Walt Disney's Mineral King ski resort project and applied for employment at WED Enterprises in 1965. He moved from the Aspen, Colorado area with his family to South Pasadena to start work with other new hires at WED. His viewpoint comes from working under his mentor, Victor Greene. Paul was in charge of projects in Disneyland's Tomorrowland makeover with Monsanto's Adventure Through Inner Space, followed by leading a team to complete the Haunted Mansion. He created construction drawings for façades of New Orleans Square buildings and the designs for the Blue Bayou. For Walt Disney World, he designed the Skyway from Fantasyland to Tomorrowland and the Goodyear Autopia race track. He was recruited in 1972 as project designer by Randall Duel and Associates AIA of Santa Monica. From that position he became the head of theme park ride design with the singular achievement of designing the first modern loop roller coaster for Magic Mountain, Valencia California. 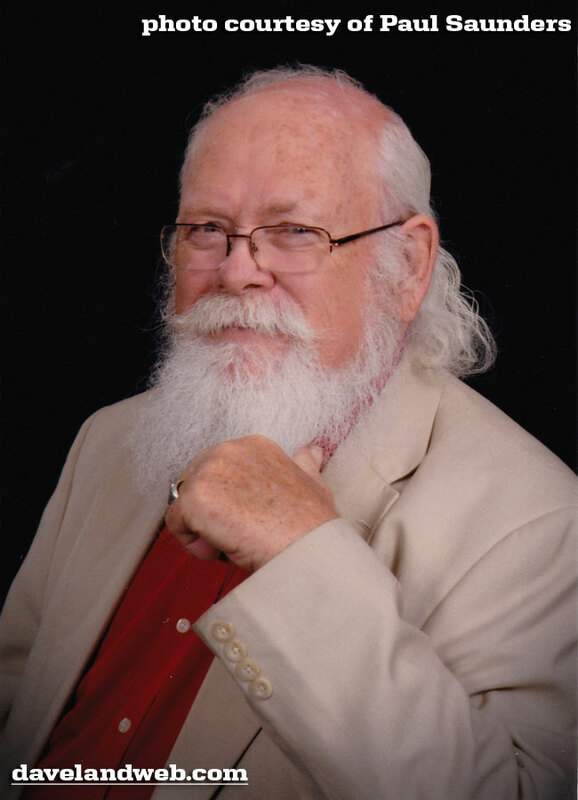 Since then he has been independent with ride consulting, fiber optic display design, and architectural custom home design until his retirement in 2013. I worked at WED Enterprise starting in 1965 with many new designers and draftsmen as plans for many attractions in Tomorrowland were to change or be added to this area. My work was under Vic Greene and I was given an assignment for the new attraction of Monsanto's Adventure Through Inner Space. 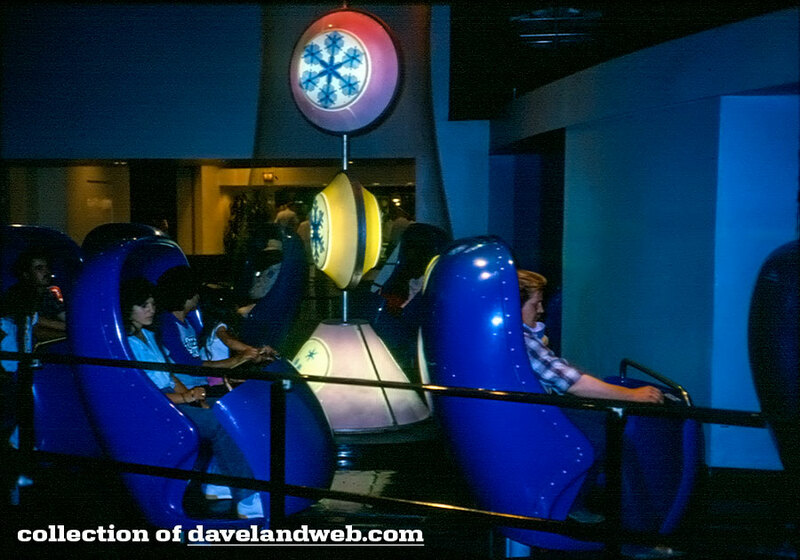 The concept of turntable loading and off loading from the Omnimover cars (shown above) in constant motion was new and made the difference for successful dark rides. 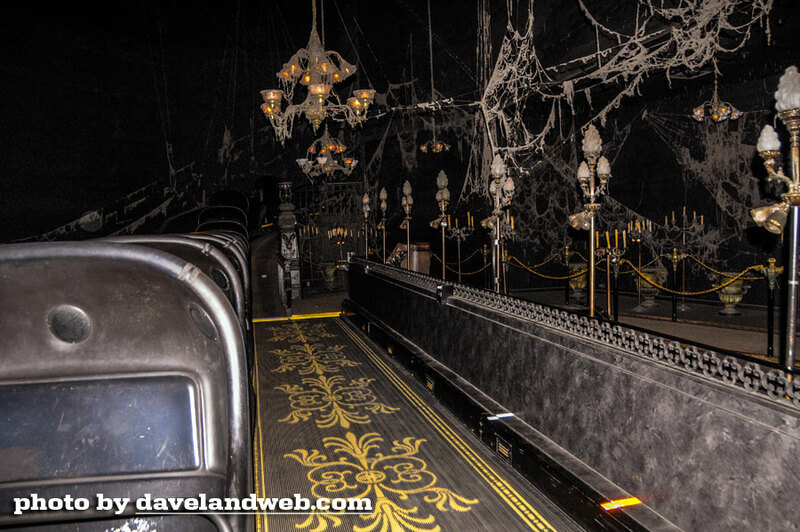 Once finished with ATIS, Vic asked me to take over the completion of the Haunted Mansion using the same Omnimover. However, I could not find the space for turntables and suggested using moving "sidewalks" manufactured by Stevens-Adams company in Aurora, Illinois, my home town. They worked just as well. I studied the sequencing of the two twenty foot diameter elevators so that we did not push too many people into the hall below. 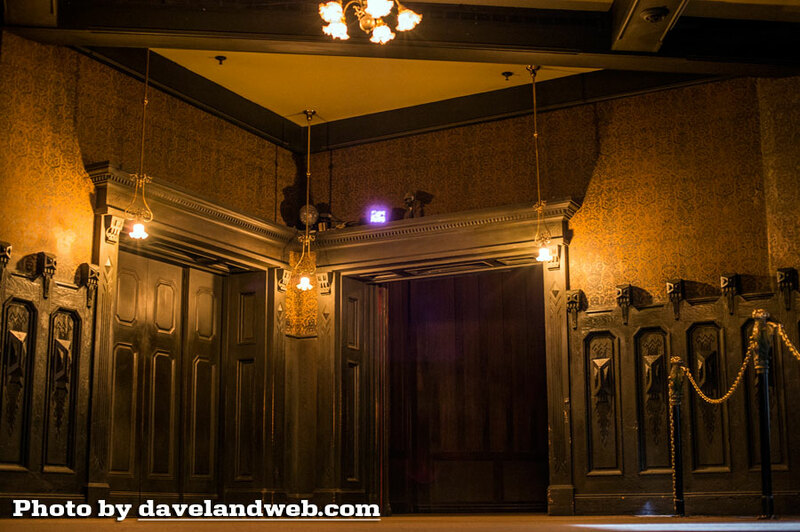 One day I was near the elevator doors in the lower hall and I noticed a painter wood graining the dark doors. I asked why he was doing that since people would be in dim light going away with their backs to the doors. He said "well, Walt would have wanted it that way." And of course he was right! It was always the plus of extra details that made Disneyland. paintings in the elevators, there came up a question of how to expand the side frame moldings. I suggested making them out of soft rubber or similar material to unroll out of the bottom frame as the paintings expanded with the elevators going down. walking together on the back lot of the studio when he suddenly stopped. I asked him what the matter was. He said that the barn we were looking at reminded him of the time he and his mother were running from the Nazis. The officer called for the men to come out of the barn. One did and was promptly shot. He went out and his mother came running out pleading to have his life spared. The officer said to turn around and head back to the barn. He thought for sure he would be shot in the back, but kept going and in fact ran around the barn and escaped. His mother caught up with him some time later and the two immigrated later to Argentina. Stan had a collection from there of beautiful moths and butterflies that I talked him into showing to a church group. 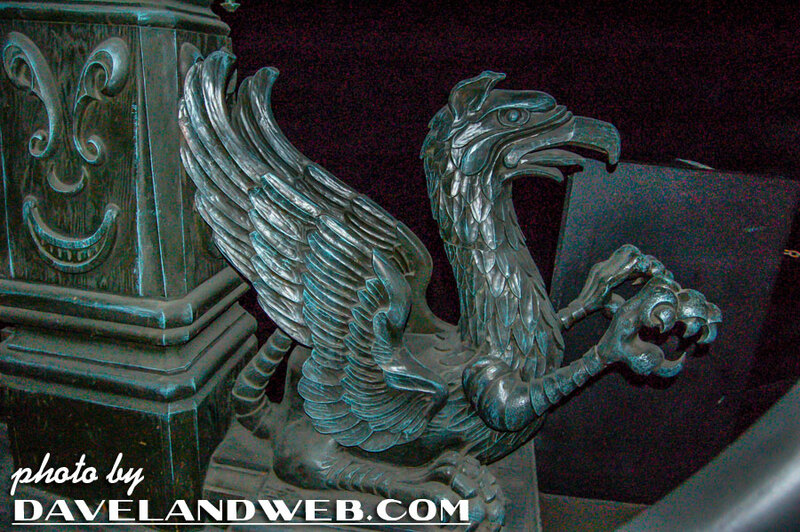 I saw the gryphons on each side of the track leading away from the moving sidewalk while working, but I was upset that they were hard to see with the lights down so dim when the HM was in operation. Blaine Gibson gave me this little model of the tea cup witch that sat in the graveyard set. This is the closest thing in the HM I could find that matched the model. Many thanks to Paul for generously sharing his recollections of working at Disneyland! Follow my Daveland updates on Twitter and view my most recent photos on Flickr. 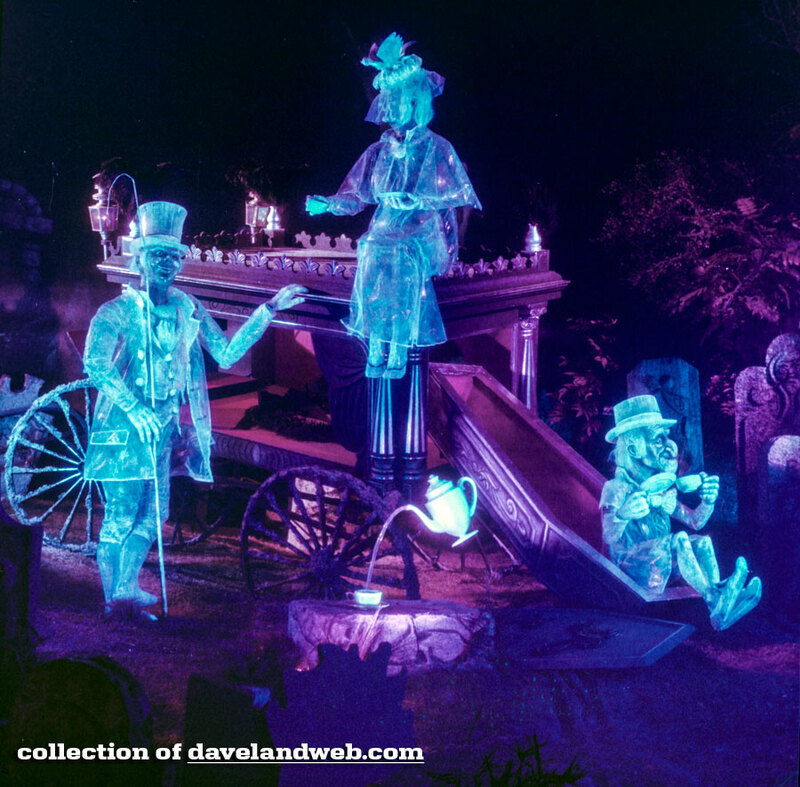 See more vintage & current Disneyland Haunted Mansion photos on my main website. A great post from a source who must have many more stories to tell. Thanks, Dave! I have never heard of Paul, but his contributions to Disneyland were very significant! 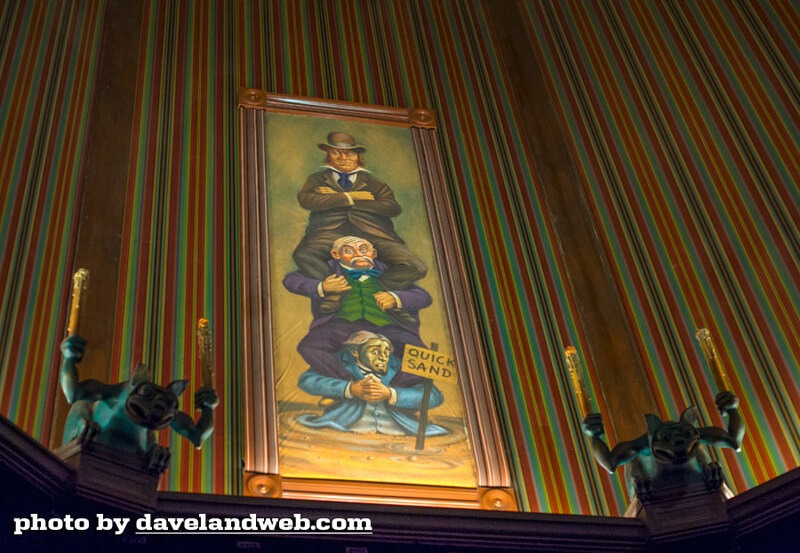 That little sculpture looks very much like some of the other moquettes that I have seen for the Haunted Mansion. 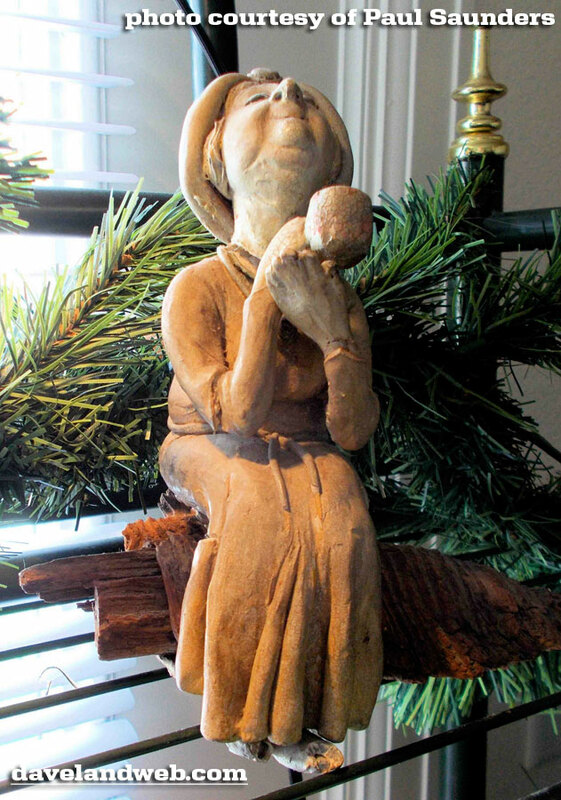 Very neat, and a great post too! I love every daily update but this one was a real gem. Nicely done. Vintage Disneyland: Barren and Low-Tech!